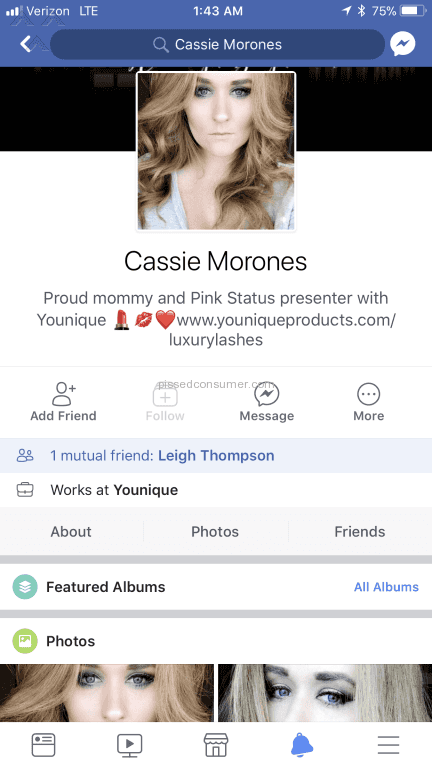 Chrystal Collins is selling samples for $10 and people are not receiving it. I wish I had googled her name way before I ever messaged her. Apparently she's one heck of a scammer. And has been for some time now. What town is this rep from? Cindy, were you able to connect with me via email? 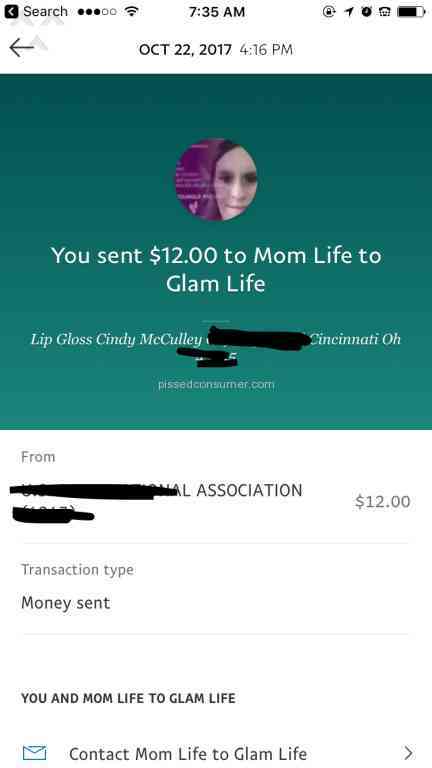 Holli Megan bullied me on her live video when I inquired that I had not received free product she advertised during the Kudos contest in November. She would not response to messages and kept giving the runaround. My friend who was watching after Holli blocked me said others commented that they also were let high & dry after supporting Holli and her videos for months. Holli Hanks is a selfish pud. Younique - ALMOST bought your product!! I was having a discussion with One of your consultants about something nothing to do with makeup and OMG, Another one of your consultants called me a *** and a moron on a public forum. Her name is Cassie Morones. Never met her in my life and she was so nasty to me about something she knew nothing about. I will not buy your product because you have mean girls like this working for you. One of my family members became a representative and I mention a couple other brands I liked .. She wouldn't even rebute why this product was better .. She deleted my comment .. I wouldn't trust this product!!!! A representative of any company should be professional and not harass any individual for not buying their product. Younique should find representatives with class..